This Victorian jugs-jiggling jam-session was a big hit in 1904. But most of the money went to the remake by the Edison company: Edwin S. Porter's How A French Nobleman Got A Wife Through The New York Herald Personal Columns. That led to a lawsuit, but the suit failed, with the court ruling that though the photography was copyrighted, the story wasn't. Lubin studios also made a remake that same year, Meet Me At The Fountain. As the table below shows, although these remakes shared scenes with the original, they were by no means pure clones, and there was a substantial difference in pace - yielding very different comic results. Personal begins at the time and place of the meeting. How A French Nobleman...Columns begins earlier, with the man inspecting the published ad, and preparing for the meeting. Meet Me At The Fountain begins still earlier, with the man writing and posting the ad. How A French Nobleman...Columns is just as bloated and boring as its title, forcing the viewer to watch each of the chasers enter and exit the frame one-by-one. Meet Me At The Fountain, on the other hand, is lean and mean: filming the chasers as a mobile mob not only cuts the monotony, but adds to the comic effect. And in the end, Meet Me At The Fountain makes good use of the time saved, with the addition of a comic emblematic shot of the prey and his captor - who is over-amorous, but notably under-alluring (and played by a man). Yet Meet Me At The Fountain does not go lean in the jugs-jiggling department, but instead ramps it up a notch with chasers noticeably all running in the same manner: with an exaggerated side-to-side sway of the shoulders that adds much more bounce to the ounce. But the Personal comic legacy didn't end there. 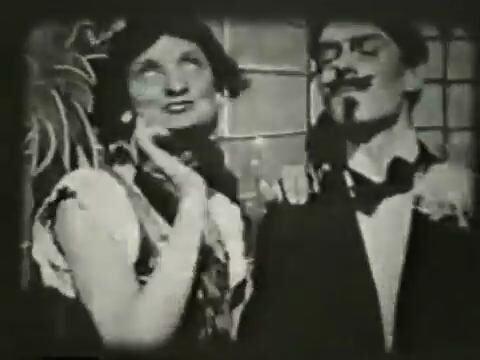 In 1909, comic star André Deed did a sort of "Personal Italian Style", moving the source of female attraction from the personal ad to personal beauty, in Troppo Bello (Cretinetti che bello!/Too Much Beauty). 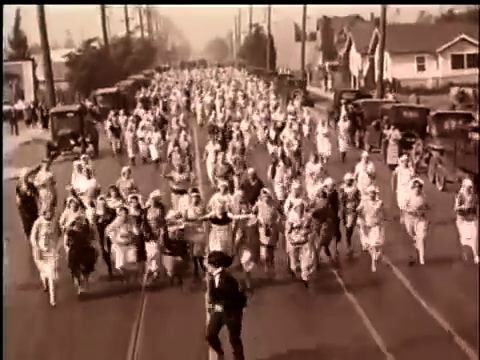 Over 20 years later in 1925, it was resurrected as the basis for the elaborate chase sequence in Buster Keaton's Seven Chances. After another 20-odd years went by, one of the scriptwriters of Seven Chances again recycled the idea of a personal ad leading to a mob of suitors in the 1947 Three Stooges short Brideless Groom. 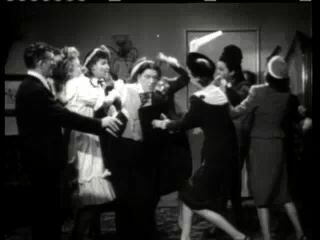 But this time the mob chase was replaced by a mob brawl - as befits Stooges humor. In 1956 the Stooges repackaged the original Brideless Groom by adding a framing story, and released it as "Husbands Beware". After 27 years it was time for another mob of jugs-jiggling women to chase some unfortunate chap, so in 1983 it appeared again, as "Death", Part 7 of Monty Python's The Meaning of Life. But this time it was not the result of a personal ad, but as the death penalty for "first-degree making of gratuitous sexist jokes in a moving picture". Over thirty years have passed, yet the next generation of jugs-jiggling has yet to appear. Perhaps when the Python skit gratuitously revealed the sexist joke the Victorians and their heirs worked so hard to conceal, they took the gag as far as it could go. Frenchman places personal ad for marriage, overwhelmed by respondents, panics and flees with the women in pursuit. Remake of Biograph's 'Personal'. 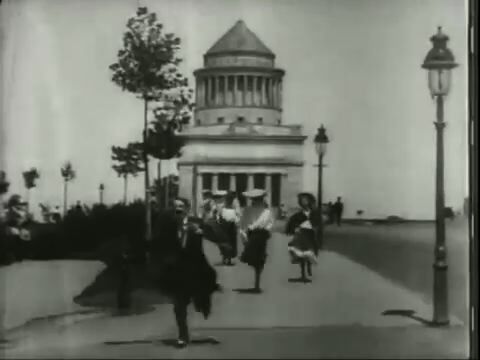 After man places personal ad for marriage, he is overwhelmed by respondents, panics, and flees with the women in pursuit. Remake of Biograph's 'Personal'. When Cretinetti is invited to a wedding, he heads out in his most dapper looks - thus making him irresistable to every woman who sees him (including the bride!). A setup for yet another remake of 1904's 'Personal' - with a twist ending that reflects Deed's roots with Georges Méliès.